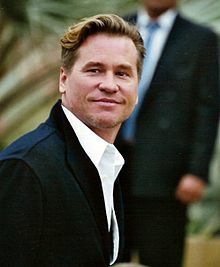 Beginning in 2015, rumors have been going around about Val Kilmer’s health. He would often go out with scarves around his neck and he had appeared to lose a lot of weight. He was also photographed with a tracheotomy tube in his throat and a breathing machine. Throughout it all, Kilmer insisted that there was nothing wrong and rumors of him having throat cancer were untrue. He addressed his fans on Facebook in January 2015 to say that he did not have cancer and had not had surgery. Kilmer is a devout Christian Scientist. Christian Science holds that all illness can best be cured by prayer and many Christian Scientists avoid medical care whenever possible. They do go to the doctor, as we’ve seen with Val Kilmer, but they believe that the most powerful treatment is prayer and they may turn down certain medical treatments in favor of faith healing. In October 2016, Michael Douglas talked about Kilmer’s health during a Q&A in London about the 1998 movie they were in together, The Ghost and the Darkness. 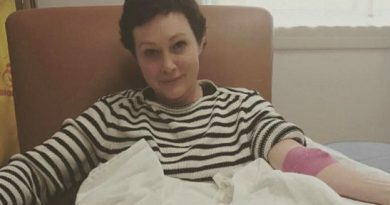 This whole story really makes one think about how difficult it must be to be a celebrity dealing with a major health challenge. While it’s easy to understand not wanting to share all of the details with the world, in some ways him not acknowledging his illness sooner caused people to talk about it even more. Oral cancer of any kind can be devastating because the symptoms and treatments affect the mouth, tongue, or throat, which can make speaking and swallowing difficult, affect one’s appearance, significantly lower one’s quality of life. 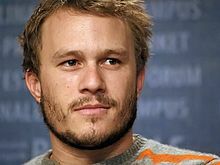 For an actor whose livelihood relies on speaking as well as appearing youthful and vibrant, it must be even more devastating. Whether he decides to talk about it further or goes back to being completely private, we’re glad that he says he’s had a healing of his cancer and we wish him all the best moving forward. April is Oral Cancer Awareness Month. For more information about oral cancer, visit the Oral Cancer Foundation where you’ll find facts, information, and more resources.